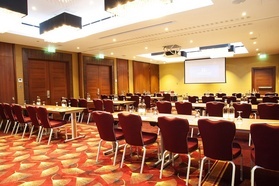 Kensington Close Hotel in London is an elegant property situated in one of the most sought after areas in the Royal Borough of Kensington and Chelsea. This well placed, unique Kensington accommodation blends chic and efficiency in perfect harmony. History has it that this building was commissioned reputedly as a small property on land co-owned by Sir Isaac Newton almost 300 years ago; the Hotel itself was built in 1960, having been originally opened as a Residential Club in 1937.